Pianist and composer George Colligan has cemented his reputation through innumerable bandstand appearances as soloist and sideman, including collaborations with artists such as Jack DeJohnette, Larry Grenadier, Don Byron and Cassandra Wilson – and his prolific studio output has been documented on over a hundred albums. 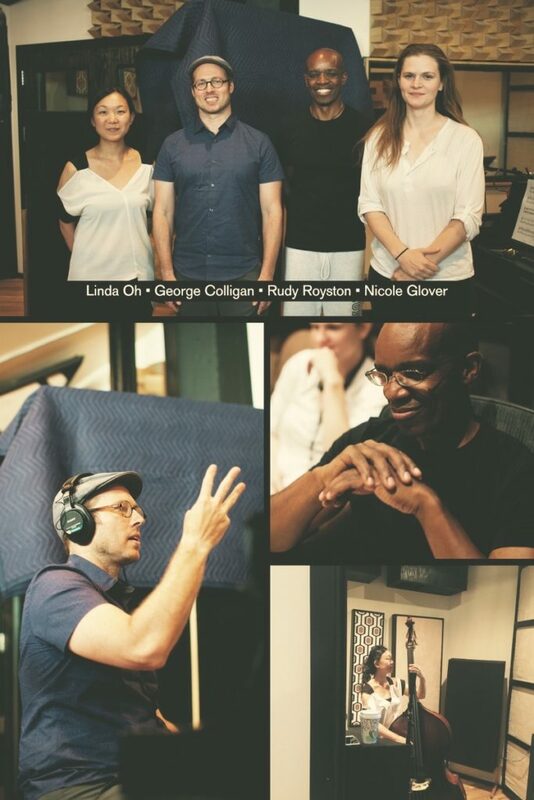 For this first release on Whirlwind, More Powerful, he leads a vibrant trio and quartet session of original music with artists with whom he has enjoyed a long association – double bassist Linda May Han Oh and drummer Rudy Royston – plus rising saxophonist Nicole Glover. In this nine-track recording, the pianist’s music is influenced by life experiences and fleeting soundbites, as well as the players he is privileged to work with – and it’s very much his forward-looking integrity which fires these accessible compositions: “My artistic goals are based on musical development. I respect the foundations of the tradition, but also feel the music has to progress, employing the elements of creativity and surprise”. Colligan explains that his compositions (a number of which, here, have been awaiting their first recorded documentation) are just the beginning, preferring not to spend too long on their genesis: “It’s great to present my music to a band I trust, and if they interpret it another way… well, I’m open to that. Not only is it exciting, I also respect what they contribute. It’s actually easier and more fun to embrace that – and I find myself being inspired back”. The playful qualities of ‘Whiffle Ball’ recall, for the leader, fond memories of playing the backyard baseball game with his father, its piano improvisations and expansive chordal riffs inviting equally breathless soprano across its fast swing. 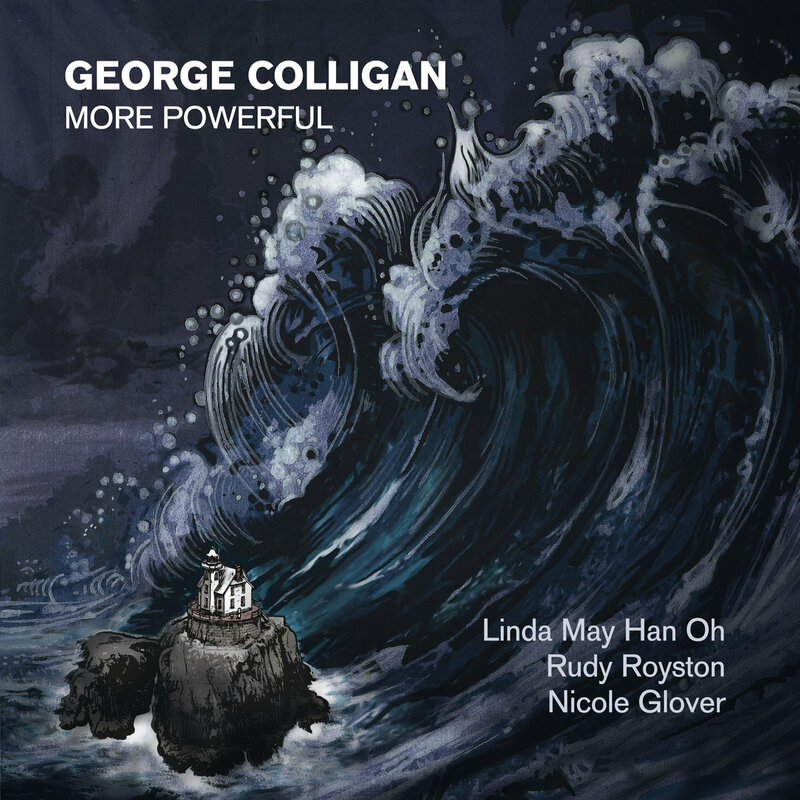 Amongst Colligan’s older piano trio tunes, ‘Waterfall Dreams’ contrasts quiet, reflective pools with percussively-laced bass extemporizations; and the complexity of ‘Effortless’ (a nod to Kenny Werner’s book ‘Effortless Mastery’) is based on the notion of something on paper seeming difficult, yet is more about the actual perception of whether or not it’s challenging (“If you think it’s hard, then it will be hard; but if you decide it’s easy…”). ‘Today, Again’ represents the repetitive busyness of ‘a day in the life’ through rhythmically purposeful, melodic tenor and piano lines and the resultant, boisterous improv – this quartet with Glover is the polar opposite of prosaic. Obi-Wan Kenobi fans will recognize the reference in raucous title track ‘More Powerful Than You Can Possibly Imagine’ (from the very first Star Wars movie) whose McCoy Tyner-like, heavy-rooted drive heads into unbridled saxophonic chaos (Colligan enjoys the powerful way the melody fits with the pounding figure, describing it as a piece which could go in so many different directions); and conversational ‘Empty’ is a fluid tenor showcase. 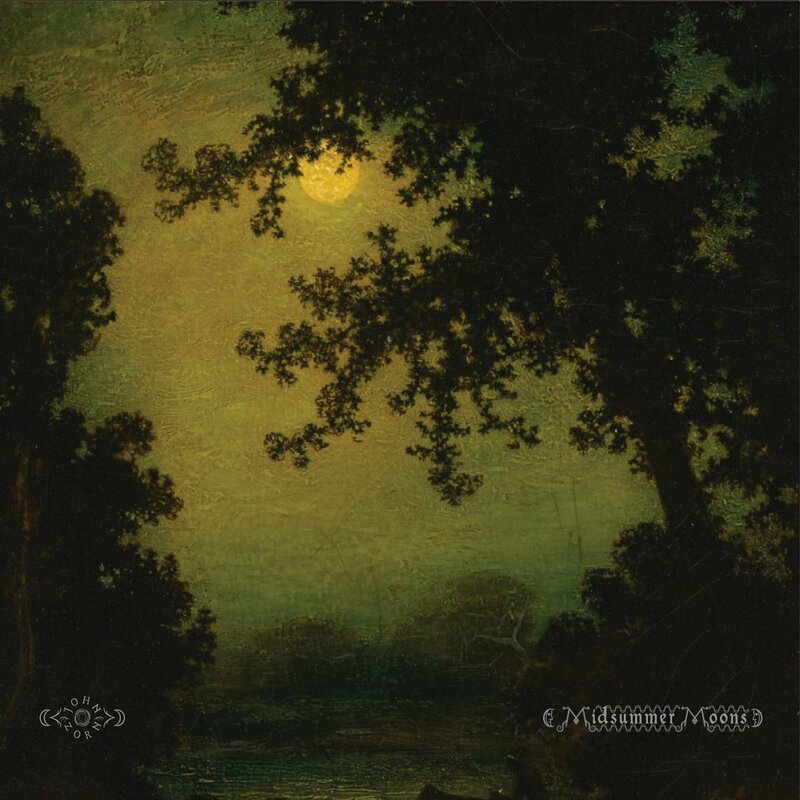 The first of three compositions written at the piano in the quietness of Carefree, Arizona, mysterious ‘Retrograde Pluto’ originates from an astrological reference overheard in an unresolved conversation Colligan recalls: “’Well, it’s Retrograde Pluto – you know what that means?’ and I thought, ‘What does it mean; is the world going to end?’!” The dry, night-time humidity of ‘Southwestern Silence’ suggests the wide-open desert spaces of Arizona (“It’s very, very quiet – if you have any paranoid thoughts, they’re only going to get louder!”); and high-spirited ‘The Nash’ (after the Phoenix jazz club that the pianist has played) is unashamedly jaunty, even anarchic. 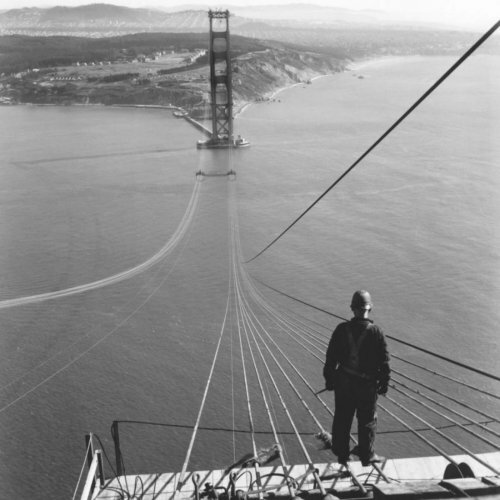 “For me”, says Colligan, “it’s more about letting things happen, rather than controlling. I already know what’s going to happen in many situations, in a world that can have so many restrictions. But with music, I’d rather not know. It’s a chance to be surprised – as improvisers, we’re legally allowed to do that – otherwise it’s like having a time machine (“there’s a time machine right over there”) but never using it! Charlie Parker is now thought of as ‘traditional’; but at the time, he was breaking new ground, a revelation. So, with ‘modern mainstream’, I love to challenge the notion of what’s contemporary and what’s old-fashioned. Working with Linda, Rudy and Nicole, their ability to react and respond is amazing”. Since settling in San Francisco in 1997, Canada-born trumpeter/improviser/composer/songwriter Darren Johnston has collaborated and recorded with an extremely diverse cross-section of artists. His interests rotate around composing instrumental music, writing songs, and performing all styles of jazz, experimental and purely improvised music, as well as traditional music of the Balkans, Greece, and Macedonia. These interests have coalesced into his primary ensemble of late, Broken Shadows, which unites musicians from all the aforementioned communities. He has performed and/or recorded with luminaries such as ROVA Sax Quartet, Fred Frith, Myra Melford, Ben Goldberg, Matt Wilson, Mark Dresser, Marshall Allen, and many others, with a special fondness for relationships he’s forged over the years with representatives from Chicago’s incredible improvising community. 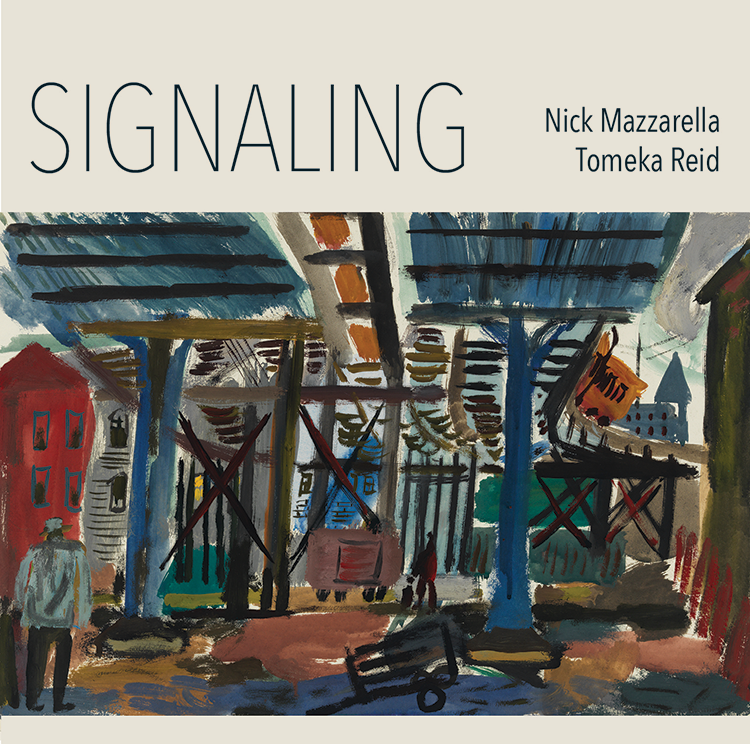 Current projects in this regard include Dave Rempis (in a horn trio with Larry Ochs), and a new-born duo with percussionist/sound artist Tim Daisy. Chicago – based drummer, marimbist, and composer Tim Daisy has worked in the fields of improvised and composed music since 1997. He has performed, recorded, and toured with many acclaimed musicians and ensembles from both the North American and European improvised music scenes including: Mars Williams, Ken Vandermark, Fred Lonberg -Holm, Elisabeth Harnik, Dave Rempis, James Falzone, Russ Johnson, Havard Wiik, Mikolaj Trzaska, Clayton Thomas, Per Ake Holmlander, Steve Swell, Aram Shelton, Michael Zerang, Kyle Bruckmann, and Katherine Young. In 2015, guitarist Sheryl Bailey & Harvie S made a delightful duet record they called Plucky Strum that ended up being a favorite jazz release of mine for that year. And the reason was simple: no stunts, no gimmicks, just sublime interplay, polished artistry and bright melodicism. By those measures this was a fantastically successful collaboration. Bailey and S must have thought so, too, because two years later they are back with another set of performances together with Departure, now on sale via Whaling City Sound. Again, there are no tricks up their sleeves and Departure is a straight-up continuation of Plucky Strum. When something works so well, there’s no need to change a thing. Well, they did do something different by including a couple of covers to go along with originals from each of the players, but more on those pair of tunes in a bit. That precise sense of swing we raved on about on the first album is the first thing that jumps out on the second one: a jumpin’, unison bop line kicks off Harvie S’s “Sublime,” and after that splashy intro, Harvie gets to work on bass walk as Bailey peels off a solo that’s Barney Kessel good. She then trades fours with Harvie that offers just a hint of what a lyrical soloist the master bassist is. Other swing numbers such as “What She Said” and “The Good Old Days” are also right in their wheelhouse, the former a classic-sounding bop, and the two have such a good swing going on, drums couldn’t add anything more to it. Bailey, again on electric guitar, plays with such bounce and verve, and goes into a synergistic co-solo with Harvie. Bailey goes acoustic for her “Old and Young Blues” which is more of a melancholy folk tune than a blues number, and here we get more of Harvie’s rhapsodic expressions on bass when he takes the lead. “Cranshaw,” presumably a paean from both to the late bassist Bob Cranshaw who passed away this past November, is underpinned by Harvie’s catlike bass line with double stops around which Bailey deftly weaves with a slightly psychedelic guitar. There might not be a better appreciate their teamwork than on their faultless cover of the Crosby, Stills & Nash classic song “Suite: Judy Blue Eyes.” Bailey and Harvie trade off so naturally on the lyric parts while holding down the ever-changing harmony with nothing left behind. At one point (the “Friday evening” part), Harvie replicates the singing part convincingly with his bow and on the next section Bailey solos splendidly. The only other non-original is a Joni Mitchell deep cut, the title song from her The Hissing of Summer Lawns LP. Bailey on electric digs deep into the esoteric melody and dubs over a tasty lead in the solo break. “Alone” brings the album to a soft landing, a tender ballad from Bailey, her warm acoustic reinforced ever so subtly by Harvie. Overall though, Departure is no departure from what Sheryl Bailey and Harvie S have been doing so well together, which makes their second disc a very pleasurable listen like the first. Two trombones, bass and drums – that suffices completely! No piano or guitar. Nobody misses them, not for a second! 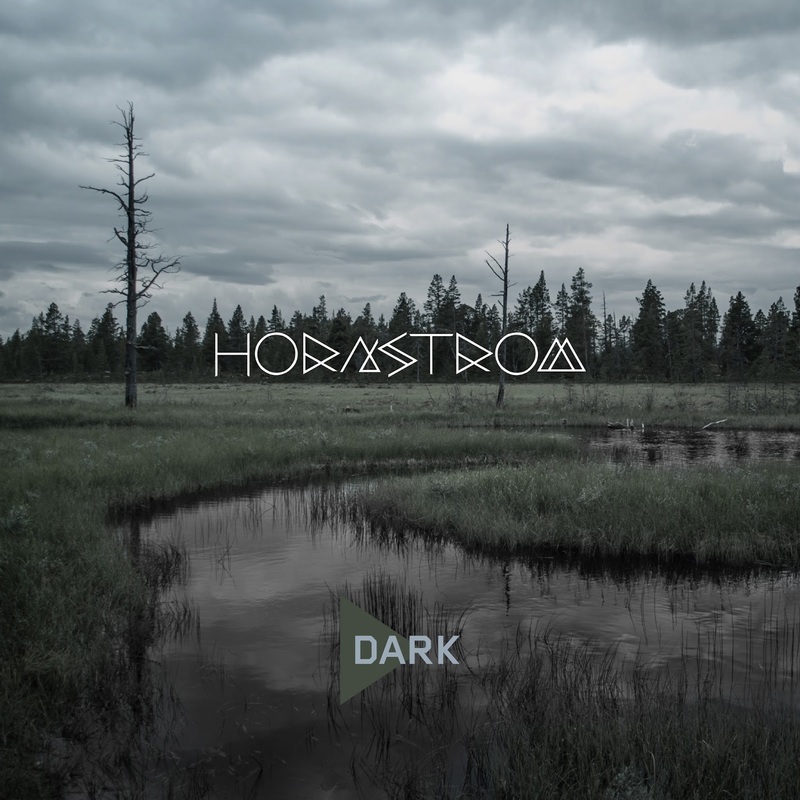 Astounding with this somewhat idiosyncratic formulation, Hornstrom has surprised and thrilled every listener with this fresh, unconventional four man orchestra for the past 11 years. With the richness of their sound of their current CD "Dark", the ideal of the band, the members of which used to like wear bathing caps and called themselves "proficient swimmers", is inevitably ascending to provisional heights. Because Klaus Heidenreich, Tobias Wember, Silvio Morger, and Markus Braun have actually succeeded with "Dark” in creating something like a comprehensible quadrature of a circle: combining the highest degree of compositional diligence with the unconditional desire for improvisational freedom as well as the greatest possible virtuosity in the handling of the instruments with a casual portion of humor, which can sometimes also take refreshing self-mocking twists. 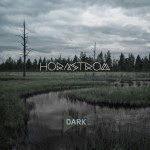 All factors that Hornstrom purposefully but never audibly cramped acquired during its quite long existence in addition to a number of awards (e.g., Biberach Jazz Prize and "New Generation" Jazz Prize Straubing). The eight songs—all self-compositions by the trombonists Wember and Heidenreich—meander somewhere on the edges of modern jazz, rock, minimal music, and drum'n'bass without wanting to join the general trend of cross-bordering. It just happens, more consistently than ever. To mold clear musical structures with sober and at the same time elegiac elements into a homogeneous band sound is the declared goal, Tobias Wember stated. It need not be a contradiction by any means if the guys of Hornstrom place the development of the four individuals in the foreground precisely in this mature collective. In fact, a lot has happened and a lot of water has flowed down the Rhine near Cologne since the debut CD "Endlich Sinnfrei" (2008). The playful sound of once has given way to a relaxed, or—as Wember expresses it—"honest" sound, which makes the ensemble pleasantly different from those, which mostly only attract attention with shrill effects and fulminating symbolism. Compositions such as the title song, "Optimistic", "Cloud Above The Zoo", "Restive Region", "Dystopia", "Snug", "Faith Hope" and "Perky" live from their great, varied narrative arcs, in which a lot of familiar things also appear in addition to new, amazing valuables. This is the reason why many unexpected spaces are developed for exciting and fascinating duo improvisations in particularly successful moments. According to the wishes of the busy four, Hornstrom is to work "project-oriented" in the future and go on a small tour twice a year. Wember: "This is necessary simply due to the spatial situation, since we now live in four different places and this form of collaboration seems to be that much more meaningful and productive." Here’s to the firing their creative impulses in friction and common understanding again and again! 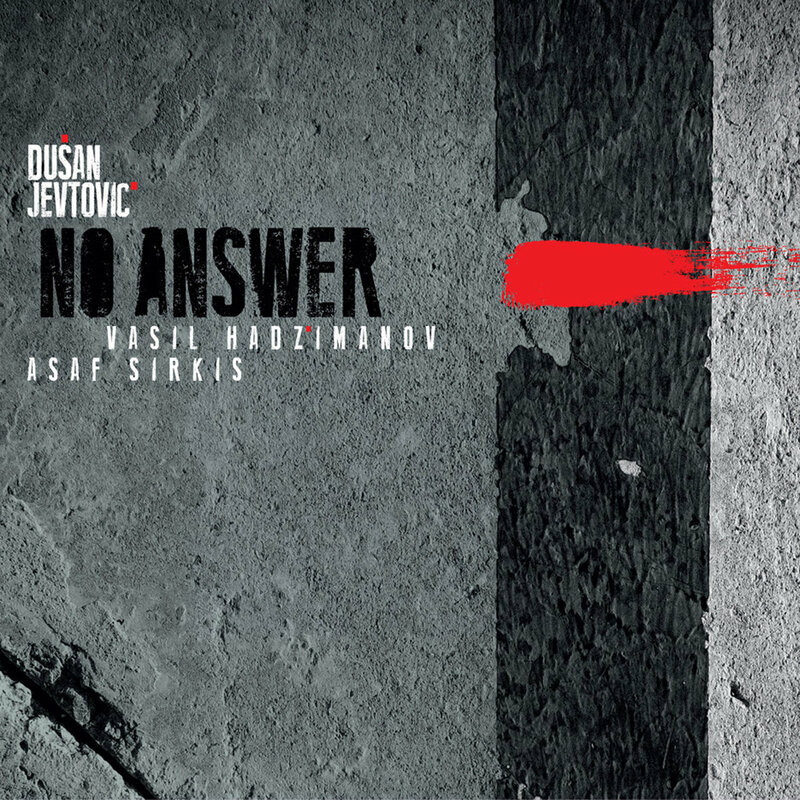 The inspired pairing of guitarist Dusan Jevtovic and pianist Vasil Hadzimanov, mobilized by the convincing playing of Asaf Sirkis on drum kit, has resulted in a sound that cross-pollinates the most forward thinking aspects of progressive music with the excitement of post-jazz. Think ECM record label vibe filtered through Radiohead played at an intimate after-hours jazz venue and you’ll catch the vibe. Choosing to work without a bass player opens new dynamic possibilities and allows the guitar and keyboard voicing to dance and weave in a textural ballet. Vasil’s beautiful arpeggiated piano serves as delicate counterpoint to Dusan’s raw textured playing. Asaf alternates between the delicacy of Jon Christensen and the driving power of vintage Billy Cobham. Mini Moog bass brings a powerful bottom end for Jevtovic’ soaring acrobatics and reinforces Sirkis’ driving grooves. As with the very best instrumental music, there is a lot of careful listening, creative comping, and building off the other players’ energy, resulting in a music that is at once confident, inspired and original. Dusan Jevtovic’ second international release (his third) on the New York progressive jazz label MoonJune might be his groundbreaking work which will intrigue fans of guitarists such as John Abercrombie, John Frusciante, Terje Rypdal, David Torn, Nels Cline, and Jimi Hendrix. Dusan Jevtovic is Serbian guitarist based in Barcelona, Spain since 2003, and has released two solo albums: On The Edge” (2009, L’Indi, Spain) and Am I Walking Wrong? (MoonJune, 2013), and has recorded and toured with a vast arrays of International artists such as Xavi Reija, Tony Levin, Gary Husband, Asaf Sirkis, Vasil Hadzimanov, Marko Djordjevic, Xavi Reija, Bernat Hernandez, Markus Reuter, Rafa Pons, Rim Banna. Vasil Hadzimanov is Serbian pianist/keyboardist based in Belgrade, and son of two iconic pop singers from 60’s and 70’s, who are still active: Macedonian legend Zafir Hadzimanov, and Senka Velentalic. Alumni of Berklee College of Music, Vasil has recorded and performed with Theodossi Spassov, Marko Djordjevic Dusan Jevtovic, Toni Kitanovski, David Binney, Antonio Sanchez, Matt Garrison, Vlatko Stefanovski, Nigel Kennedy, Vlatko Stefanovski, David Gilmore (jazz guitarist). Asaf Sirkis is one of the busiest European drummers, performing over 200 shows per year. Based in London, born in Israel, he recorded and performed with Tim Garland, Jacob Collier, Larry Coryell, Gwilym Simcock, John Abercrombie, Jeff Berlin, Kenny Wheeler, Gary Husband, Gilad Atzmon, Andy Sheppard, Bob Sheppard, Mark Egan, John Etheridge, Mark Wingfield, Nicolas Meier, Dwiki Dharmawan, Dewa Budjana, Kamal Musallam, David Binney, Billy Sherwood, Carles Benavent, Nguyên Lê, Jimmy Haslip, Beledo, Mauro Pagani, Soft Machine Legacy, and many more.